My blog is a mélange of wine and travel experiences, but sometimes we just need some wine recommendations for upcoming holidays like Christmas, Hanukkah, New Year’s Eve, New Year’s Day, or for everyday consumption. 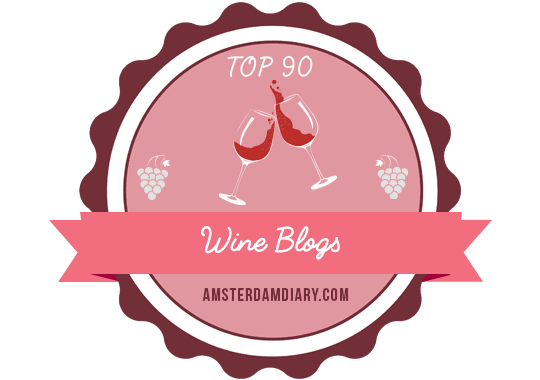 Below are some of the most current wines I have tasted this year, along with some of my favorites from throughout 2013, reviewed for my blog and Plum Deluxe. I hope you find something you enjoy! For December’s holiday celebrations, such as Hanukkah, Christmas, and New Year’s Eve, Charles Gardet Brut Tradition Champagne ($53) is the perfect choice. The wine is comprised of 45% Pinot Noir, 10% Chardonnay, and 45% Pinot Meunier grapes. The predominantly red grape blend yields a creamy, rich mouthfeel, with good acidity and flavors of stone fruits, hazelnut, and toasted bread. If you enjoy a balance of fruit and oak from grapes fermented nine months in a mix of new, once, and twice-filled French oak, this Chardonnay is for you. It has a rich, buttery mouthfeel, with good acidity and aromas and flavors of butterscotch, stone fruits, tropical fruits, tree fruits and toast. Zinfandel lovers, this one is for you! This Zinfandel spends 18 months in 35% new oak, 65% once and twice-filled French oak. The aromas are complicated and enticing: berries, pepper, and spices, while the flavors of baked black cherries and oak are intertwined on the palate. The grapes for this Pinot Noir come from a cool-climate, low-yield single vineyard on a ridge between Petaluma and Sonoma, where winemaker Alison Crowe and her team control production from vineyard to bottle. This Pinot Noir has a velvety mouthfeel and ample acidity, with concentrated aromas and flavors of rich black cherry, spices, and violets. Garnet Vineyards has made this wine easily available through the amazon.com wine portal. Another creamy, decadent Chardonnay thanks to seven months in 40% new French oak and extended time on lees during malolactic fermentation, this wine possesses aromas and flavors of citrus, honey, and stone fruits. This wine, whose grapes hail from the famous Rochioli and Hallberg vineyards in the Russian River Valley, sees eight months in 40% new French oak. Aromas and flavors include cola, dark berries, spices, tea, and violets, accompanied by nice acidity. The Riesling grapes for this wine are sourced from some of Oregon’s oldest vineyards, dating back to 1968. Like the Pinot Gris, the vineyard is located in a cooler area of the Willamette Valley with similar temperature swings. It is aged on lees in 100% stainless steel tanks to give it more texture and weight. When I tasted this wine, it was so reminiscent of the Rieslings I’ve tasted from the Finger Lakes. It had amazing acidity, which I love, along with succulent aromas and flavors of peach and tart green apple. This wine is sunshine in a glass, a gorgeous pale straw color, with very inviting floral and fruit aromas. On the palate, there’s a veritable burst of sweet, ripe melon, peaches, pears, and tropical fruits. I paired this wine with a combination veggie and meat pizza as sort of experiment, instead of going with an Italian red or Pinot Noir, and it worked perfectly. There was enough acidity to complement that of the tomato-based sauce and veggies, while the sweet fruit flavors were enhanced by the salty meats, such as pepperoni and sausage. This sparkling rosé is made of a blend of 51% Pinot Noir and 49% Chardonnay grapes from vineyards in Napa, Sonoma, Mendocino, and Marin counties. It is made in the méthode champenoise like wines from the Champagne AOC of France. It has floral, spicy, and yeasty aromas. On the palate, it has great acidity and a creamy mouthfeel, with flavors of apple, cherry, and citrus. I haven’t tasted many examples of Pinotage, which is a hybrid of Pinot Noir and Hermitage, but it seems that one either loves it or doesn’t. However, in this case, there’s a lot to love. This wine has aromas and flavors of dark and red berries, vanilla, spices, and a meaty, smoky quality. The wine is drinking well now, but has the potential to age for 10-20 years. The cool mountain climate of the vineyards has allowed for the production of this lovely Viognier. It’s fermented in stainless steel, but spends some time on lees. It has a creamy mouthfeel, with aromas and flavors of honey, melon, stone fruits, and tropical fruits. Ready to drink now, it has the potential to age for up to five years. As a follow-up to the 2013 Wine Tourism Conference in Portland, Oregon, I had the opportunity to participate in a four-course wine dinner at Willamette Valley Vineyards in their new tasting and event space. The winery was founded 30 years ago by Jim Bernau, who was in attendance along with the winemaker, Don Crank III, and Chef Eric Nelson. One of the courses, grilled Anderson Ranch lamb loin, was paired with the estate Pinot Noir. The wine was earthy and meaty, with aromas and flavors of herbs, truffles, red berries, spices, and tea, and paired perfectly with the lamb. It was one of my favorite pairings of the evening. As part of my personal commitment to soul searching and finding my path, I plan to take a break from writing to enjoy the holidays and savor life’s deliciousness without note taking and photos. I want to thank everyone who has read my blog this year. It’s been another year of tremendous change and growth. I am eternally grateful for those of you who have continued to follow my both literal and figurative journeys. I wish you a wonderful holiday season filled with wine, food, family, friends, and of course, travel. In a forthcoming, end-of-the-year post, I will be detailing some of what has happened to me in 2012, which has caused me to be somewhat remiss in my reviews. For now, here are some of the wines I’ve tasted in the last two ThirstyGirl #TGTaste events, one in partnership with Whole Foods, and the other in partnership with Domaine Ste. Michelle. I love a warmer-climate Sauvignon Blanc like this one, which boasts a combination of citrus, melon, and tropical fruits, like guava, kiwi, and mango. With a cooperage of 65% stainless steel, 35% older French oak barrels, it is crisp, yet has a substantial mouthfeel and a nice finish. According to the website, the grapes for this wine are hand-picked from small lots. This wine is surprisingly smooth for an inexpensive Cabernet Sauvignon, with lots of cherry and plum flavors and mild tannins, which makes it very easy to drink, with or without food. The Brut (88% Chardonnay and 12% Pinot Noir) and Brut Rosé (100% Pinot Noir), both made in the traditional (champenoise) method, are both fantastic price-to-quality sparklers. A friend and I paired them with a variety of foods, such as fresh raspberries, Gouda and crackers, and crusty bread dipped in a choice of three olive oil blends: balsamic vinegar, Italian spices, and Kosher salt. The Brut has zesty citrus and tart crabapple flavors and paired well with the Gouda and crackers and the bread dipped in olive oil-Kosher salt. The Brut Rosé has raspberry and strawberry flavors, and paired perfectly with our fresh raspberries. In fact, we even dropped a few in our glasses. As noted above, all of these wines are well under $20. They would be great additions to your holiday dinner tables and celebrations without breaking the bank, and should be readily available at local wine stores, shops, or grocery stores. All of these wines were graciously provided to me as media samples from Whole Foods and Domaine Ste. Michelle. Cheers and Merry Christmas! When I visit Sonoma and Napa, I usually stay with still red and white wines, as I am just beginning to develop my palate for sparkling wines. However, this trip I decided to educate my palate at Domaine Carneros, a beautiful winery barely in Napa County near the Sonoma County line. The gorgeous estate and grounds are reminiscent of a French chateau. I met a new winemaker there on a perfect-weather Sunday to discuss an upcoming release and we enjoyed a flight of their sparkling wines, the Vintage Brut Cuvée, the Brut Rosé, and the Vérmeil Demi-Sec Sparkling (limited release) outside on the front porch. My favorite of the three was the Brut Rosé, with lovely flavors of peach and strawberry, by far the most floral and fruit-forward of the three. The next time I visit, I plan to include their table service food offerings with my flight. This was my second visit to Gundlach Bundschu in four months. It was a spontaneous decision to turn in as I was driving by it on my way back to Napa. It was their Gewürztraminer I wanted to taste, perhaps because it’s fun to say, “May I try the Gundlach Bundschu Gewürztraminer” three times fast. At any rate, I was not disappointed. I tasted through the reds that are only available at the winery and my favorite Mountain Cuvée (new bottle design alert! ), in addition to the Gewürztraminer. I think what draws me to their reds is that most have some hint of cocoa or chocolate and what girl doesn’t love some chocolate? I also enjoy the laid-back, fun ambiance in the tasting room. I was that close to joining Friends with Benefits, the clever (new?) marketing name for their wine club, but the quantities required for purchase are a bit high for an East Coast, single gal living alone like me. Instead, I will purchase locally and on the road, as well as continue to visit the winery in the future. Oh yes, I purchased a bottle of Gundlach Bundschu Gewürztraminer, just so I could say it again. For more pics of my visits to Domaine Carneros and Gundlach Bundschu, visit this public link. If you are interested in visiting either winery, please contact me and I can arrange an experience you will never forget.